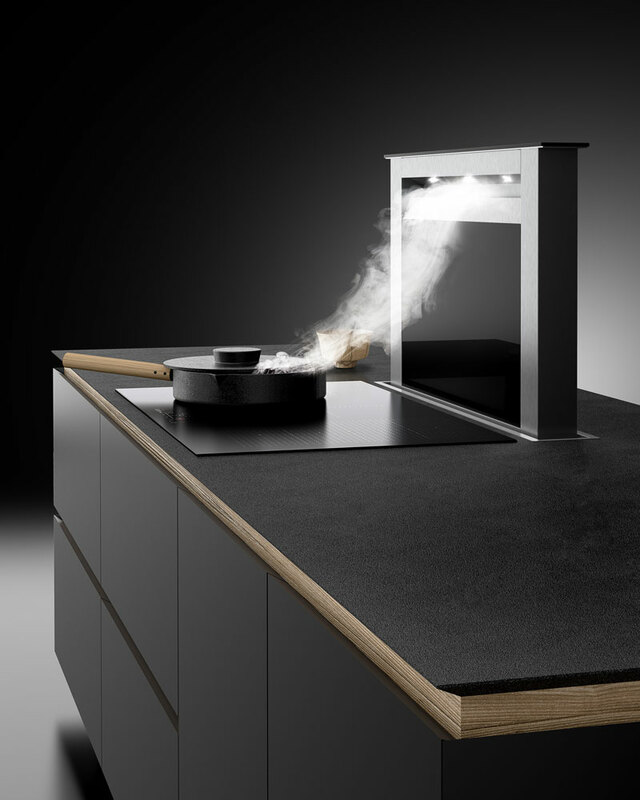 Ciarko Moondraft is the most extendable device in its class on the market which makes its a one of a kind downdraft hood. Thanks to its extension range, the absorption of smells, particles of fat and steam becomes more efficient. Its maximum extension is as high as 50 cm. The professional mechanism installed in the extractor, also used in the automotive industry, makes the device move up and down in a more stable way than in case of standard mechanisms. In this model it is also possible to install the motor directly on the device or at a distance of up to 8m.